The European Commission should “adopt necessary measures to phase out the active substance glyphosate in the European Union until no later than 15 December 2020”, members of the European Parliament’s environment, public health and food safety committee agreed on Thursday. This is also a clear message to the member states, which are due to vote on the renewal of the controversial weed killer’s licence next Wednesday. The proposal currently on the table would see the glyphosate stay on the market for another ten years. Several EU countries, including France and Italy, have already announced they intend to vote against the ten-year renewal, leaving little hope that the licence renewal will reach the threshold needed for adoption by qualified majority. If no agreement is reached, the sale of glyphosate in the EU could end when the current licence expires on 15 December 2017. The resolution, presented by members of the Greens, the radical left GUE/NGL, the centre-left S&D and the Eurosceptic EFDD groups, was adopted by 39 votes to nine. Members of the centre-right EPP group were among ten who abstained. It will be put to a vote in the Parliament’s plenary session in Strasbourg next week. The environment committee demanded a complete ban on glyphosate in 2020, beginning with the prohibition of its sale to private consumers, followed by a ban on sales to farmers, who account for 76% of its use. The resolution also denounced the doubts over the scientific evaluations of glyphosate carried out by the European agencies. While the UN’s cancer research agency declared the weed killer a “probable carcinogen”, the European Food Safety Authority (EFSA) and the European Chemicals Agency (ECHA) found that that glyphosate did not present a risk to human health. But the recent revelations in the ‘Monsanto Papers’ have thrown doubt on the reliability of the European findings. The documents, now declassified in the United States, show that EFSA’s 2015 study is largely copy-pasted from an earlier study by Monsanto, the biggest marketer of glyphosate through its best-selling weed killer Roundup, according to The Guardian. “It is time for the European Union to stop cowing to industry lobbies and Monsanto. The collusion between European agencies and Monsanto poses a serious threat to democracy,” said Younous Moarjee, a French GUE/NGL lawmaker. In France, the glyphosate question is a highly sensitive one. On 20 October, civil society representatives handed President Emmanuel Macron an open letter from 33 NGOs, as well as the European Citizens’ Initiative ‘Stop Glyphosate’, which has been signed by more than a million EU citizens. This petition, which was officially recognised by Brussels in October, demands a ban on glyphosate, the reform of the pesticide approval process and binding EU targets on the reduction of pesticide use. Copa President Joachim Rukwied said: “There is no rational reason not to re-authorise its use. 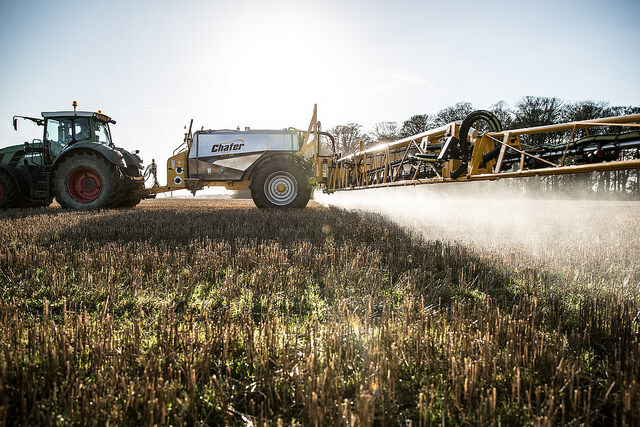 EU scientists have agreed that there are no safety concerns when it comes to using glyphosate. The key scientific bodies involved in this case - Germany, the Member State in charge of the assessment, the European Food Safety Authority (EFSA), and the European Chemicals Agency (ECHA) – all clearly stated that there are no safety concerns vis a vis the use of this herbicide active substance. Farmers rely on it. In line with our European high safety standards, PPPs are used in Europe like any other technology to produce safe, quality, affordable food supplies to a growing population. Without renewal, the EU will put its farmers at a competitive disadvantage vis a vis non-EU producers”. “To expose citizens, animals and the environment to Monsanto’s poison for 10 more years is an irresponsible act of the European Commission. 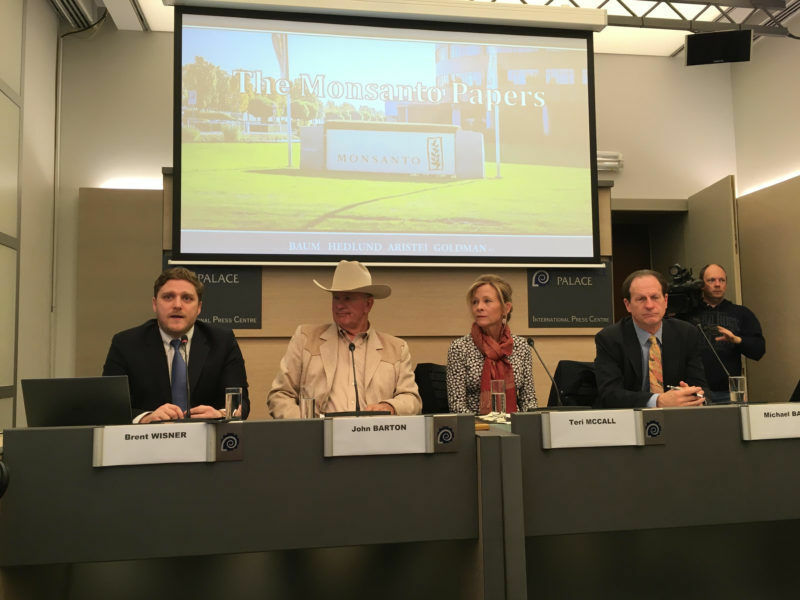 It ignores independent scientists, the revelations in the Monsanto Papers and the Stop Glyphosate European Citizens’ Initiative, which has gathered more than 1 million signatures. Glyphosate should be taken off the market and its phase-out should begin today,” Hazekamp concluded. 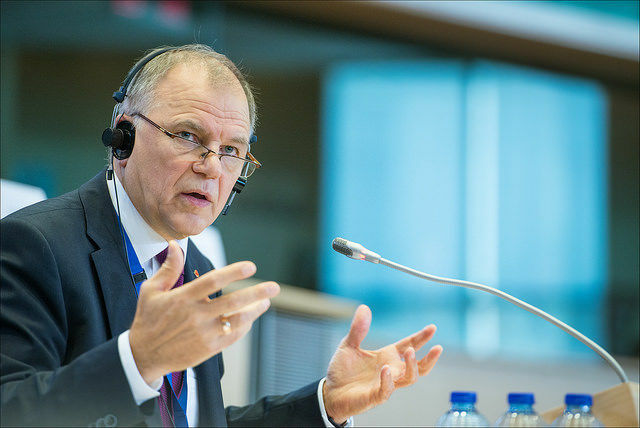 The EPP group said in a statement: "The EPP Group today abstained in the committee vote. For us the European citizen's health is certainly the main priority but we are also aware that the phasing out of the use of glyphosate by as soon as 2020 could have detrimental consequences for the agricultural sector. In 2000 the EP voted against banning the use of animals in laboratory to test cosmetics, but the industry couldn't adapt for years. We do not want something similar to be repeated with glyphosate. We are therefore in favour of finding solutions to replace the use of glyphosate before totally forbidding it."